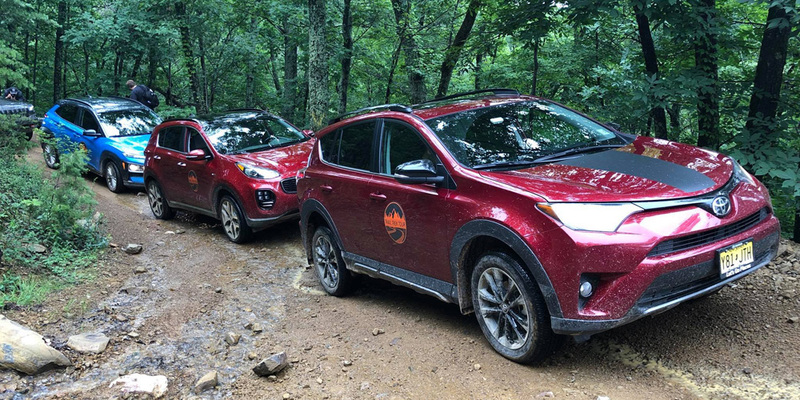 Woodstock, VA (June 23, 2018) – The inaugural event of the Trail Trek Tour was a tremendous success, as seven vehicles proudly completed the Compact Crossover Off-Road Challenge. 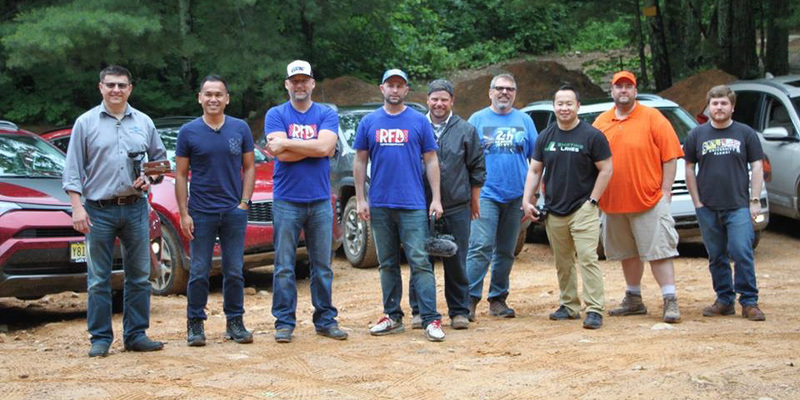 Hand-selected automotive media gathered in Woodstock, Virginia to pit sponsor-provided Compact Crossovers against each other in an off-road challenge. Over the course of five hours on two trail rides in George Washington National Forest, media judges switched vehicles every half hour and despite heavy rains overnight making the conditions extra challenging, not a single vehicle needed assistance completing the trail. 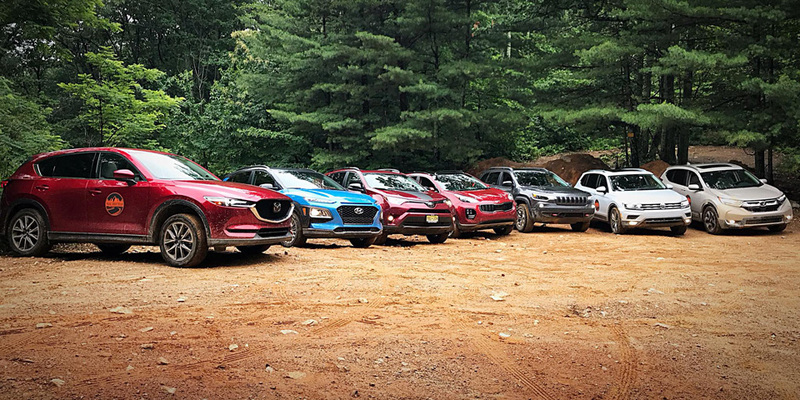 The seven Compact Crossover Off-Road Challengers were the 2018 Toyota RAV4 Adventure, 2018 Kia Sportage, 2018 Mazda CX-5, 2018 Volkswagen Tiguan, 2018 Honda CR-V, 2019 Jeep Cherokee Trailhawk, and 2018 Hyundai Kona. The Tiguan was the largest of the group at 185.1″, and the Sub-Compact Kona was the smallest at 164″ (a full foot shorter than the Sportage). All non-luxury automotive brands were invited to compete in the Compact Crossover Off-Road Challenge, however some opted not to participate in the event. The crossovers were expertly driven on trail by seven automotive media judges; Sofyan Bey of Redline Reviews, Alex Dykes of Alex on Autos, Paul Strauss of The Awesomer & 95 Octane, Byron Hurd of Left Lane News, Hansen Lukman of Shifting Lanes, Tim Esterdahl of Pickup Truck + SUV Talk, and Will Byrd of Right Foot Down & Oversteer. After completing a full day of trail rides, the challengers were ranked by the media judges in three distinct categories; Capability, Utility, and Style. The 2019 Jeep Cherokee Trailhawk took top honors for Capability, the 2018 Volkswagen Tiguan was ranked first in Utility, and the 2018 Mazda CX-5 was rated highest in Style. 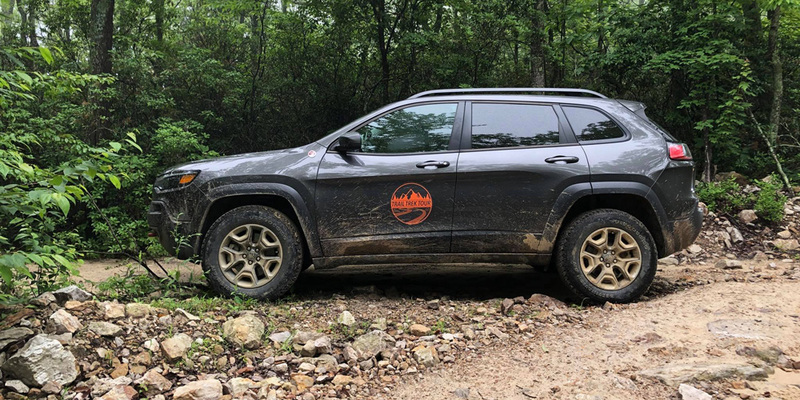 Those category rankings were then combined to determine the overall winner of Trail Trek Tour’s Compact Crossover Off-Road Challenge, the Jeep Cherokee Trailhawk. The Cherokee was the only crossover in the competition with four-wheel-drive and all-terrain tires, so the judges were not surprised to see it emerge victorious. However the Volkswagen Tiguan followed very closely behind in the overall rankings, and the Mazda CX-5 finished both third overall, and third in Capability. The Trail Trek Tour is a traveling series of off-road events for automotive media. 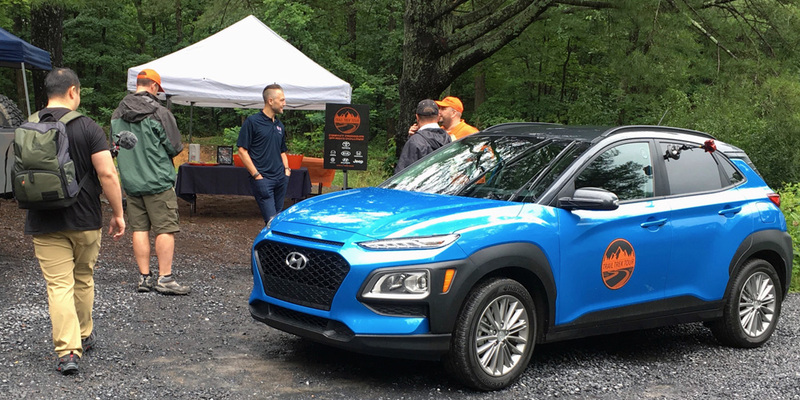 Our first event was the Compact Crossover Off-Road Challenge, held June 21-23, 2018 in Woodstock, Virginia. We expect to host our second event in the Fall of 2018. The Trail Trek Tour is produced by Philip Van der Vossen of Gunaxin Media LLC. Philip has been the owner / editor of Gunaxin since 2008 and founded the Trail Trek Tour in 2018. Philip has also served as Rally Director for the Washington Automotive Press Association, Speaker at IMPAcon & Blogs with Balls, Chairman of the Relay For Life of North Anne Arundel County, Examiner Team Leader for the Maryland Performance Excellence Awards, and Founder of Capitals Outsider. Prior to founding Gunaxin, Philip worked as a Continuous Improvement Manager and Information Systems Manager at Allen & Shariff Corporation. Stupid Dope : Getting Dusty with the 2019 Toyota 4Runner TRD Pro on the Trail Trek Tour!